When designing a hospitality center, you’re trying to achieve a certain look and feel. You want the area to be welcoming and inviting, but you also want it to feel luxurious and sophisticated. Marble is a popular choice for hospitality centers, but you don’t have to go with the traditional beige colors. Bianco Dolomiti features marble that is nearly white in color with minimal shading. The white color makes it a great choice with almost any décor, and the subtle shading gives it a warm glow that people from all walks of life appreciate. Marble has been used throughout the ages, and that gives this tile a traditional look that most people will enjoy. It’s reminiscent of the ancient temples used by Greek and Roman civilizations, yet it looks great with modern décor. Whether the lobby design will feature stunning artwork from the masters or you’re going to fill it with luxurious fabrics and upholstered furniture, this white marble creates the perfect backdrop for your hotel or resort. Another great feature of this tile is that it’s versatile enough to handle future changes and upgrades. You can change the look of your common areas without going through the expense of having new flooring installed. Most people think of warm climates when they see marble. This is partially because marble remains cool under your feet even when the weather is hot outside. However, marble doesn’t become ice-cold the way other flooring materials can. It remains warmer in the winter than you might think, and that makes it a fine choice for resorts around the globe. If you’re concerned about the floor being slick when it gets wet from the rain, then you can put area rugs in key locations. The rugs won’t cause harm, and they’ll create a charming accent against the pure white of the marble. Bianco Dolomiti tiles are extremely versatile. They’re commonly seen in floors, but this is far from their only application. Properly polished, they can be used in powder rooms for shower walls. Mounted around a mirror or window, they form an attractive, reflective frame that will make a powerful impression. Use marble as the backsplash in commercial kitchens for a low-maintenance surface that will look spectacular. Marble can also be used for counters, office work areas, dresser tops and other surfaces throughout your hospitality center. Wherever you choose to install this material, you’re sure to make a fantastic impression. Choose polished marble to naturally reflect light and make dark spaces feel larger and more welcoming. This is the perfect way to make a small hotel bathroom feel more luxurious. It’s also a smart way to make a walk-in closet in the suite feel larger than it is. Using sophisticated high-end materials in unexpected places like this will remind your future guests that they’re staying in a fine hotel, and it’s an easy way to make your establishment stand out. Use the bright white marble behind the reception desk to chase away shadows and have it installed in the elevator to keep this space from feeling dark and dreary. The tiles are available in different sizes, so you can use mosaics as the backdrop for shelves to better highlight artwork, or you can choose larger tiles for the balconies where guests might choose to enjoy their morning coffee. Give your hotel a modern feel by highlighting the differences between light and dark. Bianco Dolomiti tiles are absolutely stunning when set against dark, sleek black tiles or finished wood. Use the white marble for a sink with black bases that stand out. Install bright white tiles on the floor with a contrasting black border. Maintain the modern feel with smooth finishes, or soften the look and change the balance slightly by adding textures that lend a more classic feel to the finished area. Your guests are sure to be impressed with the bold look when you choose to showcase this marble against deeper colors and finishes. The neutral color and soft highlighting make this marble an excellent choice for any finished room. It works with a range of decorating styles and themes, and that makes it a top choice for designers. This marble can be installed in all of the guestrooms, but then each room can be personalized to create a different theme. The pure white color ensures that it will work with modern décor as beautifully as it works with traditional decorating and more classic styles. If you’re concerned about the Bianco Dolomiti feeling too stark in a given area, there are ways to soften the finish without surrendering the fantastic look. Use beautiful floral area rugs in the lobby and rooms to add color and style while still taking advantage of the durability and beauty of marble. Finish large areas with borders in a complementary tan or gray marble to soften the look and clearly define spaces. Pair the white marble with wood furniture that’s stained to a light color or painted in a pastel hue. All of these tricks will give the marble a soft look while still creating that rich, luxurious atmosphere. When consumers like a resort or hotel, they’re more likely to return in the future. If they love the look and feel of the décor the first time, then they expect to love it when they return. This makes it important for hotels to be consistent. The durability of Bianco Dolomiti makes it easy to be consistent. You can expect this tile to be a long-term investment that will last for decades. Even if tiles become cracked or damaged, they can still be replaced to maintain the beautiful look. When customers return in the future, they’ll have fond memories of other trips, and the beautiful flooring will play into that. When you’re working up the final design for your hotel, consider using Bianco Dolomiti throughout the space. It can be used in small areas to trick the eye and make them feel larger, and it’s appropriate for use in massive areas that need to make an impression. Durable and cost-effective, it will remain one of the highlights of your finished plan for decades to come. Available from Nalboor, Bianco Dolomiti tiles are a great choice for hospitality design because they’re so versatile and functional. 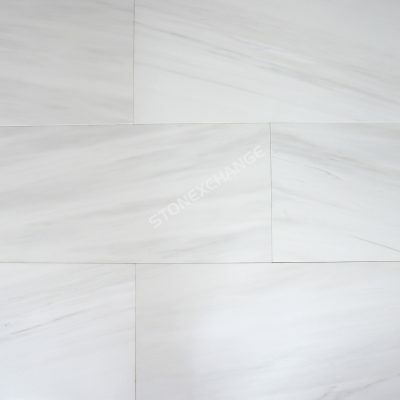 Whether you want the ability to change the décor in a few years or want to know that the tiles will withstand the test of time and become an integral part of the hospitality center, this marble is the right choice.